It’s now “en vogue“ again – the popular Maxlrain SCHLOSS TRUNK. Well into the late nineteenth century the Bavarians traditionally brewed darker ale. Handed down from generation to generation, the ancient recipe for this bottom-fermented beer is now experiencing a grand comeback. 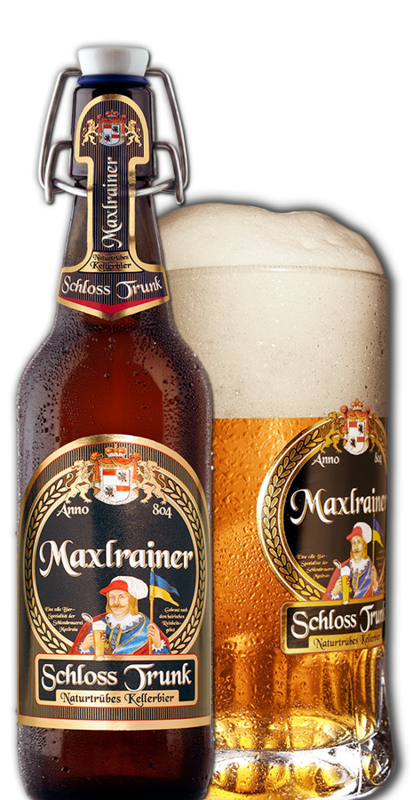 Instantly recognizable by its amber tone combined with a quaint “olde worlde” malty aroma and harmonious full-bodied taste, this unfiltered MAXLRAIN speciality in the good old swing-top closure bottle is enough to make the heart of any beer aesthete beat faster.